There’s one thing. I’ve already mentioned in one of blog entries that I uploaded previously, people are curious about the reason why I’m doing research about ajummas even though I’m not an ajumma yet! People think it is very strange when non-ajumma researcher researches about ajummas. Also they expect that research about ajummas is not an attract thing at all. For these many reasons, people keep asking the same question to me for many times and I had to explain to them whenever they asked questions. I’m still enjoying my research about ajummas and I will be doing this research continuously. Ajummas are attractive people in Korea and there are voluminous research topics to study about ajummas. 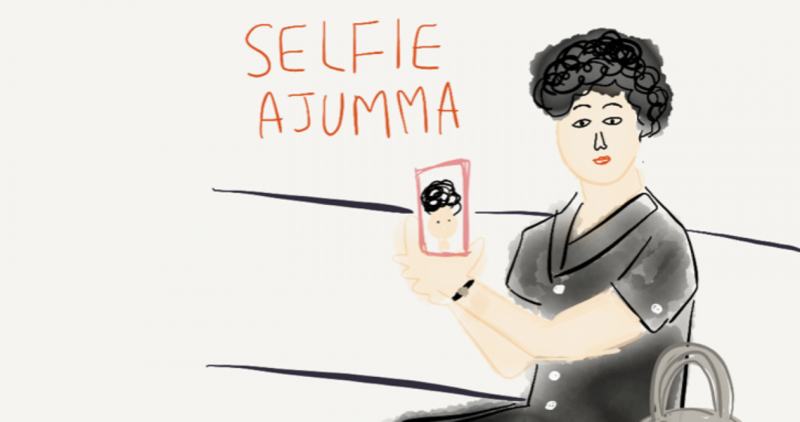 Through this blog, I will keep doing my research about ajummas and their use of new media. Posted on 10 Mar 2016 11 Mar 2016 by moon ajummaPosted in Smart Ajumma (English)Tagged ajumma, 아줌마 화이팅, 한국, 한국여성, Korea, Korean women, Mobile communication, smart ajumma. Previous Previous post: 새 글이 곧 올라옵니다! New entries will be coming soon! Next Next post: 혹시 아줌마 인가요?